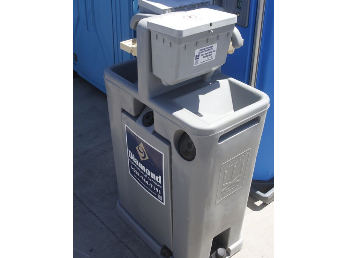 A portable sink is perhaps one of the most useful restroom rental benefits offered by the agencies. It helps to make it so much easier to wash hands correctly and in a sanitary manner wherever they are installed. This makes it a trendy option for places where there is a shortage of the traditional sink or in areas where it is not possible to install one. This means places like construction worksites, exhibition grounds, outdoor events, weddings etc., are all perfect places to install a portable sink either permanently or temporarily.